Dana Point Shipyard is a family owned and operated repair facility that has been in the business of hauling and repairing vessels since 1967. 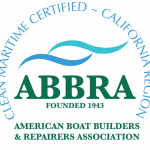 Our mission is to provide excellence in customer service and repairs to the recreational, commercial, and professional boating community of Dana Point Harbor and beyond, while continuing our commitment to respect and protect our environment and harbor waters. We encourage you to stop by and meet our dedicated staff first hand. We think you will agree, that our family tradition of “the finest quality and craftsmanship” will not be matched by our competition. We look forward to meeting with you to discuss any repairs you may need. All vessel haul-outs are preformed by trained, experienced personnel. Engine repairs are preformed on site by factory trained and certified technicians. 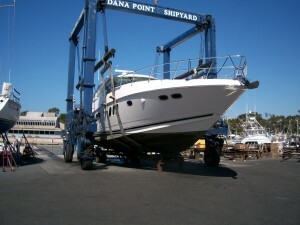 For the do–it-yourself boaters, we also offer 24/7 accommodations. 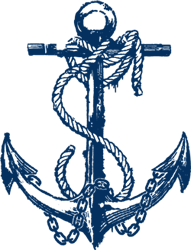 In addition to being fully insured we are here for any emergency that you may have. 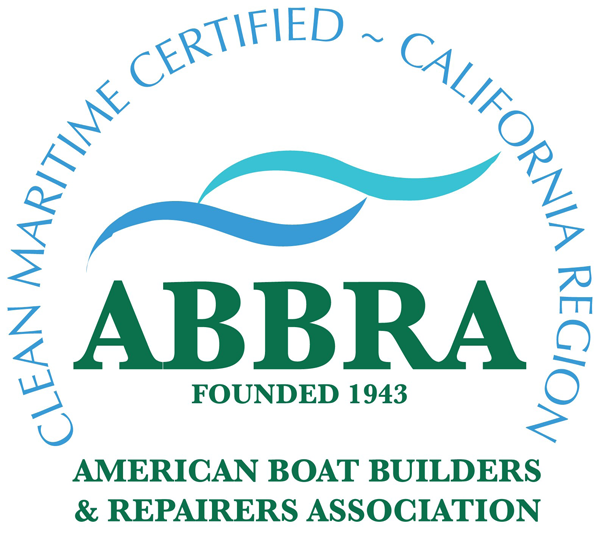 Our facility exceeds all licensing and water quality permit requirements, insuring no contaminants find their way into our harbor waters. 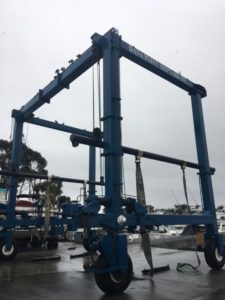 1981 Acme marine travel lift for sale. 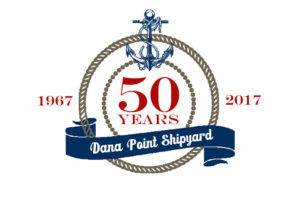 In great operating condition currently in use at Dana Point Shipyard. 300 cubic inch, 6 cylinder, gasoline Ford engine. Inside clear height is 26'. Inside clear width is 25.9' with a 76.5" removable center beam. Without center beam, inside clear width is 19.5'. Lifting capacity is 50GT. For additional information, please call Steve Morris at (949) 542-3368 or call our office at (949) 661-1313 and ask for Steve. Lift will be available on February 10th. More photos available in our "For Sale" section at the top right of this page. Please click on the links below to view the rules and guideline for laydays.